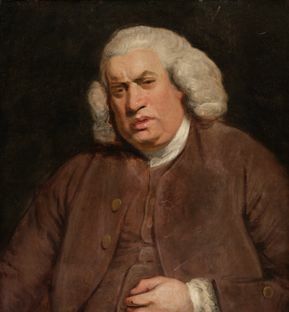 The Yale Edition of the Works of Samuel Johnson was founded in 1955 to replace the Oxford Edition of 1825 and make accurate texts of Johnson's complete works widely available. Originally there were to be nine volumes and the project was to take two years. All of Johnson's writings in the 21 volumes of the Yale Edition now in print are presented here. 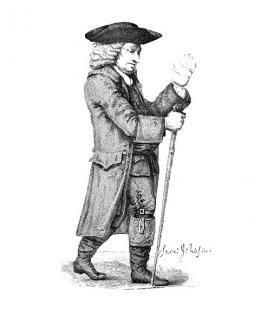 Johnson wrote the periodical essays of The Rambler (left) twice a week, on Tuesdays and Saturdays, between 1750 and 1752, while procrastinating the completion of his great Dictionary of the English Language. In addition to literary critical essays, Johnson wrote moral and ethical essays in the tradition of Sir Francis Bacon's Essays. Many of these essays are part of the Rambler (1750-52), but many others are to be found in Johnson's contributions to other journals. Johnson above all excelled as a literary critic, a genre in which he practiced throughout his career. By searching the YDJ it is possible to collect all of this work, whenever or wherever Johnson published it. The YDJ identifies over forty genres to which Johnson contributed. He wrote in almost every possible genre from advertisement to epitaph, from prayer to parody, from satire to tragedy.